AC-PDSN0713BWCR Hand-applied wax sealer that protects its maple exterior and provides an earthy matte finish. Complemented by dual-turret lugs, the multi-purpose snares are also fitted with MAG Throw-Offs, True-Pitch Tuning, and Remo heads. 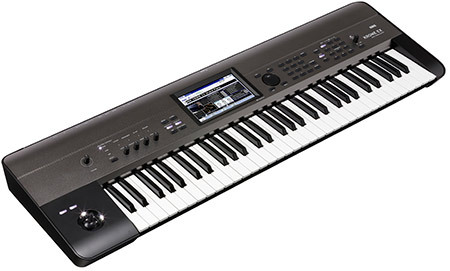 AC-PDSN0413SSEH Now you can bring the unique but also vintage sound of Eric Hernandez and make it your own. This brand new snare drum by PDP is the first of its kind to include gold hardware. AC-PDPCM7-SP What if boutique-inspired drums loaded with pro-features were more affordable? 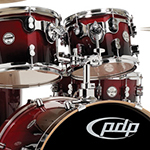 The PDP Concept Maple Series offers a number of configurations with stunning finishes and build quality. Speak to our Drum specialist today for more information, and the best price. AC-PDLT2215BO PDP has unveiled the latest entry in its Limited Edition Series - this unique, 5-piece maple kit in a striking Blue-and-Orange combination! Like their close cousins in the Concept Maple Series, these beautifully resonant, boutique-inspired drums were designed in collaboration with the DW Custom Shop. AC-PDPCM7-SPRF What if boutique-inspired drums loaded with pro-features were more affordable? 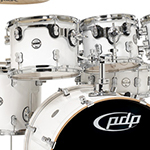 The PDP Concept Maple Series offers a number of configurations with stunning finishes and build quality. Speak to our Drum specialist today for more information, and the best price. AC-PDSN0612BNCR You cant build a good snare drum if you dont know what a good snare drum is supposed to be. Gimmicks are for the other guys. 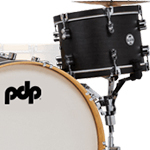 PDP just make great sounding snare drums that drummers can rely on. 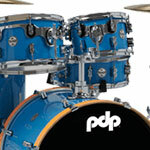 AC-PDP261316 What if boutique-inspired drums loaded with pro-features were more affordable? 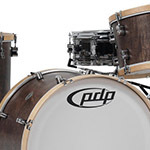 The PDP Concept Classic Series offer beautiful natural wood drums with the classic wood hoop look. Speak to our Drum specialist today for more information, and the best price. AC-PDP20CM5-SPRF What if boutique-inspired drums loaded with pro-features were more affordable? 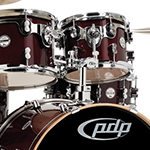 The PDP Concept Maple Series offers a number of configurations with stunning finishes and build quality. Speak to our Drum specialist today for more information, and the best price. 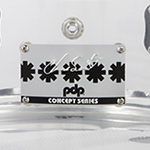 AC-PDSN0612SSCS This new range of PDP Signature Snares from Chad Smith features a seamless Acrylic shell in three different size options. All feature a DW MAG throw-off, Remo Drum Heads, Dual-Turret Lugs and True Pitch Tensions Rods. An incredible range of Snares at extremely affordable prices. AC-PDSN0614SSCS This new range of PDP Signature Snares from Chad Smith features a seamless Acrylic shell in three different size options. 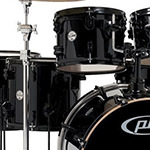 All feature a DW MAG throw-off, Remo Drum Heads, Dual-Turret Lugs and True Pitch Tensions Rods. An incredible range of Snares at extremely affordable prices. 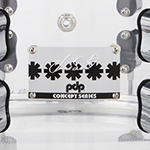 AC-PDSN0713SSCS This new range of PDP Signature Snares from Chad Smith features a seamless Acrylic shell in three different size options. 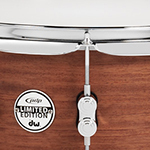 All feature a DW MAG throw-off, Remo Drum Heads, Dual-Turret Lugs and True Pitch Tensions Rods. An incredible range of Snares at extremely affordable prices. AC-PDSN6514MWNS This PDP range of LIMITED EDITION 20-ply hybrid shell snare drums are a welcome addition to the complete line of PDP offerings. The ultra-thick drum is made with 16 plies of European maple at its core and 4 plies of walnut both inside and outside. AC-PDSN0713MWNS This PDP range of LIMITED EDITION 20-ply hybrid shell snare drums are a welcome addition to the complete line of PDP offerings. The ultra-thick drum is made with 16 plies of European maple at its core and 4 plies of walnut both inside and outside. AC-PDSN0814MWNS This PDP range of LIMITED EDITION 20-ply hybrid shell snare drums are a welcome addition to the complete line of PDP offerings. The ultra-thick drum is made with 16 plies of European maple at its core and 4 plies of walnut both inside and outside. AC-PDSN5514MWNS This PDP range of LIMITED EDITION 20-ply hybrid shell snare drums are a welcome addition to the complete line of PDP offerings. The ultra-thick drum is made with 16 plies of European maple at its core and 4 plies of walnut both inside and outside. AC-PDDJ1804YBPKRF A combination of hybrid poplar/maple shell and "short stack" dimensions makes the kit sound remarkably big and warm for its diminutive size. Its striking appearance comes courtesy of a large-flake Gold-to-Black Sparkle Fade lacquer finish. AC-PDP241316 What if boutique-inspired drums loaded with pro-features were more affordable? The PDP Concept Classic Series offer beautiful natural wood drums with the classic wood hoop look. Speak to our Drum specialist today for more information, and the best price. AC-PDDJ1804YBPK A combination of hybrid poplar/maple shell and "short stack" dimensions makes the kit sound remarkably big and warm for its diminutive size. Its striking appearance comes courtesy of a large-flake Gold-to-Black Sparkle Fade lacquer finish. 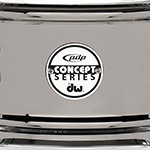 AC-PDPCCWN What if boutique-inspired drums loaded with pro-features were more affordable? 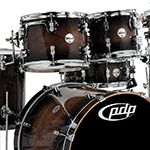 The PDP Concept Classic Series offer beautiful natural wood drums with the classic wood hoop look. Speak to our Drum specialist today for more information, and the best price. AC-PDP22CM5 What if boutique-inspired drums loaded with pro-features were more affordable? 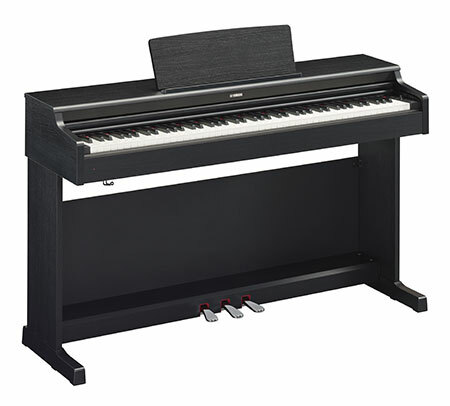 The PDP Concept Maple Series offers a number of configurations with stunning finishes and build quality. Speak to our Drum specialist today for more information, and the best price. AC-PDPCM6 What if boutique-inspired drums loaded with pro-features were more affordable? 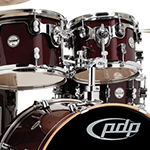 The PDP Concept Maple Series offers a number of configurations with stunning finishes and build quality. Speak to our Drum specialist today for more information, and the best price. AC-PDP20CM5 What if boutique-inspired drums loaded with pro-features were more affordable? 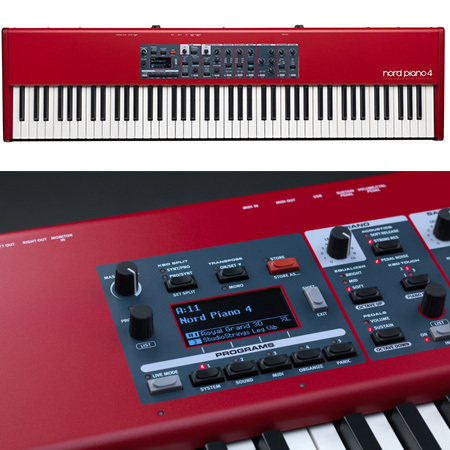 The PDP Concept Maple Series offers a number of configurations with stunning finishes and build quality. Speak to our Drum specialist today for more information, and the best price. AC-PDPCM7 What if boutique-inspired drums loaded with pro-features were more affordable? 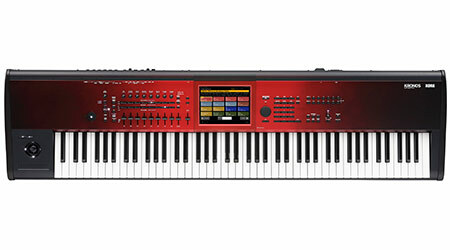 The PDP Concept Maple Series offers a number of configurations with stunning finishes and build quality. Speak to our Drum specialist today for more information, and the best price. 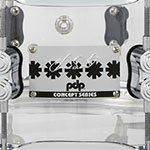 AC-PDP-CBCBF What if boutique-inspired drums loaded with pro-features were more affordable? 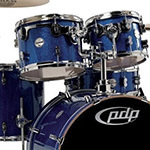 The PDP Concept Maple Series offers a number of configurations with stunning finishes and build quality. Speak to our Drum specialist today for more information, and the best price. AC-PDSX6514BMBM The PDP SX LIMITED EDITION Bubinga-Maple Snare is a Limited Run Snare Drum within the PDP speciality Snare Drum range. Outstanding quality with an even better sound! Speak to our Drum Specialist and get your hands on one whilst you can. AC-PDPCMCBEXWN What if boutique-inspired drums loaded with pro-features were more affordable? 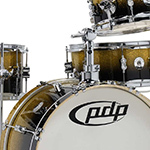 The PDP Concept Maple Series offers a number of configurations with stunning finishes and build quality. Speak to our Drum specialist today for more information, and the best price. AC-PDP20CM5-SP What if boutique-inspired drums loaded with pro-features were more affordable? 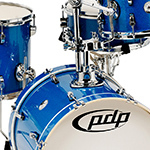 The PDP Concept Maple Series offers a number of configurations with stunning finishes and build quality. Speak to our Drum specialist today for more information, and the best price. AC-PDP22CM5-SP What if boutique-inspired drums loaded with pro-features were more affordable? 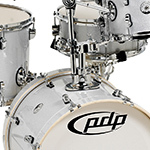 The PDP Concept Maple Series offers a number of configurations with stunning finishes and build quality. Speak to our Drum specialist today for more information, and the best price. AC-PDPCM6-SP What if boutique-inspired drums loaded with pro-features were more affordable? 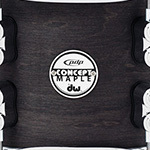 The PDP Concept Maple Series offers a number of configurations with stunning finishes and build quality. Speak to our Drum specialist today for more information, and the best price. AC-PDNY1804SS Created nearly a decade ago as a portable DW Custom Shop kit, the New Yorkers compact configuration is now available as a stylish, yet price-conscious kit for the student or working drummer. AC-PDNY1804DS Created nearly a decade ago as a portable DW Custom Shop kit, the New Yorkers compact configuration is now available as a stylish, yet price-conscious kit for the student or working drummer. AC-PDPCCWNRF What if boutique-inspired drums loaded with pro-features were more affordable? 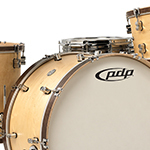 The PDP Concept Classic Series offer beautiful natural wood drums with the classic wood hoop look. Speak to our Drum specialist today for more information, and the best price.